*For a limited time, enjoy monthly payments from $478 with $0 down on select, in-stock 2017 3 series models! **Plus, get up to $10,000 in savings! * Lease offers of 0.9% APR for 48 months available only through BMW Financial Services Canada on approved credit (OAC). Lease example based on a 2017 330i xDrive Sedan (N21201): $52,885.00 (MSRP ($49,395.00) plus Freight & PDI ($2,995.00) less $7,000.00 delivery credit) at 0.9% APR for 48 months. Monthly payment is $478 with down payment of $0.00. Retailer administration fee ($595.00), AMVIC ($6.25), A/C levy ($100.00), tire stewardship fee ($16.00) are due on signing. Licensing, registration, and applicable taxes are extra and due on signing. First month’s lease payment and security deposit of one month’s payment are due at lease inception. The residual value of the vehicle at the end of the term is $24,203.55. Annual kilometres limited to 12,000; $0.15 per excess kilometre. Excess wear and tear charges may apply. Retailers are free to set their own prices. **BMW 3 Series delivery credit on all new, in-stock 2017 3 Series models. 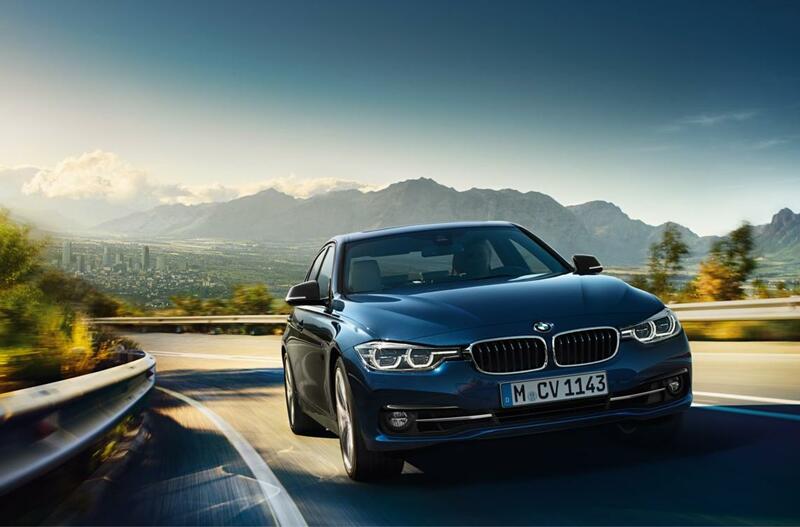 Credits up to $10,000 on all new, in-stock 2017 BMW 3 Series models are available on cash, lease, and finance purchases made through BMW Financial Services Canada. Contact me for more details, or to book a test drive. Prefer to simply drop by the Calgary BMW dealership? Please ask for Jason at the Reception desk. I look forward to meeting you, and exceeding your expectations. Selling price of a 2017 X1 xDrive28i starts at $42,812.25, which includes MSRP ($40,300.00), freight and PDI (up to $2,795.00), AMVIC ($6.25), A/C levy ($100.00), tire stewardship fee ($16.00), and retailer administration fees (up to $595.00), less $1,000.00 credit. * Lease offers of 2.9% APR for 48 months available only through BMW Financial Services Canada on approved credit (OAC). Lease example based on a 2017 X1 xDrive28i base model: $41,780.00 (MSRP ($40,300.00) plus Freight & PDI ($2,795.00) less $1,000.00 delivery credit) at 2.9% APR for 48 months. Monthly payment is $398.55 with down payment or trade equivalent of $5,390.00. Retailer administration fee ($595.00), AMVIC ($6.25), A/C levy ($100.00), tire stewardship fee ($16.00) and fees associated with PPSA ($22.76) are due on signing. Licensing, registration, and applicable taxes are extra and due on signing. First month’s lease payment and security deposit of one month’s payment are due at lease inception. Total obligation for the lease is: $19,707.05. The residual value of the vehicle at the end of the term is $20,553.00. Annual kilometres limited to 16,000; $0.15 per excess kilometre. Excess wear and tear charges may apply. Retailers are free to set their own prices. ** $1,000.00/$1,000.00 Credit on new BMW 2017 X1 xDrive28i models applies to Lease/Cash purchases made through BMW Financial Services Canada. Selling price of a 2017 X3 xDrive28i starts at $47,712.25, which includes MSRP ($46,700.00), freight and PDI (up to $2,795.00), AMVIC ($6.25), A/C levy ($100.00), tire stewardship fee ($16.00), and retailer administration fees (up to $595.00), less $2,500.00 credit. * Lease offers of 1.9% APR for 48 months available only through BMW Financial Services Canada on approved credit (OAC). Lease example based on a 2017 X3 xDrive28i base model: $46,680.00 (MSRP ($46,700.00) plus Freight & PDI ($2,795.00) less $2,500.00 delivery credit) at 1.9% APR for 48 months. Monthly payment is $488.22 with down payment or trade equivalent of $5,050.00. Retailer administration fee ($595.00), AMVIC ($6.25), A/C levy ($100.00), tire stewardship fee ($16.00) and fees associated with PPSA ($22.76) are due on signing. Licensing, registration, and applicable taxes are extra and due on signing. First month’s lease payment and security deposit of one month’s payment are due at lease inception. Total obligation for the lease is: $24,011.21. The residual value of the vehicle at the end of the term is $20,548.00. Annual kilometres limited to 16,000; $0.15 per excess kilometre. Excess wear and tear charges may apply. Retailers are free to set their own prices. ** $2,500.00/$2,500.00 Credit on new BMW 2017 X3 xDrive28i models applies to Lease/Cash purchases made through BMW Financial Services Canada. Selling price of a 2017 X5 xDrive35i starts at $72,012.25, which includes MSRP ($68,500.00), freight and PDI (up to $2,795.00), AMVIC ($6.25), A/C levy ($100.00), tire stewardship fee ($16.00), and retailer administration fees (up to $595.00). * Lease offers of 4.9% APR for 48 months available only through BMW Financial Services Canada on approved credit (OAC). Lease example based on a 2017 X5 xDrive35i base model: $70,980.00 (MSRP ($68,500.00) plus Freight & PDI ($2,795.00)) at 4.9% APR for 48 months. Monthly payment is $789.45 with down payment or trade equivalent of $7,200.00. Retailer administration fee ($595.00), AMVIC ($6.25), A/C levy ($100.00), tire stewardship fee ($16.00) and fees associated with PPSA ($22.76) are due on signing. Licensing, registration, and applicable taxes are extra and due on signing. First month’s lease payment and security deposit of one month’s payment are due at lease inception. Total obligation for the lease is: $38,470.56. The residual value of the vehicle at the end of the term is $35,620.00. Annual kilometres limited to 16,000; $0.25 per excess kilometre. Excess wear and tear charges may apply. Retailers are free to set their own prices. Selling price of a 2017 M3 Sedan starts at $79,512.25, which includes MSRP ($76,000.00), freight and PDI (up to $2,795.00), AMVIC ($6.25), A/C levy ($100.00), tire stewardship fee ($16.00), and retailer administration fees (up to $595.00). * Finance offers of 2.9% for 60 months available only through BMW Financial Services Canada on approved credit (OAC). Finance example: $73,000.00 financed at 2.9% APR for 60 months with $0.00 down payment equals a monthly payment of $1,352.93. Cost of borrowing is $5,175.51. Total obligation is $81,175.51. ** $3,000.00 Credit on new BMW 2017 M3 Sedan models applies to Finance purchases made through BMW Financial Services Canada. Selling price of a 2017 M4 Cabriolet starts at $89,512.25, which includes MSRP ($86,000.00), freight and PDI (up to $2,795.00), AMVIC ($6.25), A/C levy ($100.00), tire stewardship fee ($16.00), and retailer administration fees (up to $595.00). * Finance offers of 2.9% for 60 months available only through BMW Financial Services Canada on approved credit (OAC). Finance example: $83,000.00 financed at 2.9% APR for 60 months with $0.00 down payment equals a monthly payment of $1,532.17. Cost of borrowing is $5,930.08. Total obligation is $91,930.08. ** $3,000.00 Credit on new BMW 2017 M4 Cabriolet models applies to Finance purchases made through BMW Financial Services Canada. Selling price of a 2017 M4 Coupe starts at $80,012.25, which includes MSRP ($76,500.00), freight and PDI (up to $2,795.00), AMVIC ($6.25), A/C levy ($100.00), tire stewardship fee ($16.00), and retailer administration fees (up to $595.00). * Finance offers of 2.9% for 60 months available only through BMW Financial Services Canada on approved credit (OAC). Finance example: $73,500.00 financed at 2.9% APR for 60 months with $0.00 down payment equals a monthly payment of $1,361.89. Cost of borrowing is $5,213.24. Total obligation is $81,713.24. ** $3,000.00 Credit on new BMW 2017 M4 Coupe models applies to Finance purchases made through BMW Financial Services Canada. Selling price of a 2017 320i xDrive Sedan starts at $42,212.25, which includes MSRP ($41,200.00), freight and PDI (up to $2,795.00), AMVIC ($6.25), A/C levy ($100.00), tire stewardship fee ($16.00), and retailer administration fees (up to $595.00), less $2,500.00 credit. * Lease offers of 0.9% APR for 48 months available only through BMW Financial Services Canada on approved credit (OAC). Lease example based on a 2017 320i xDrive Sedan base model: $41,180.00 (MSRP ($41,200.00) plus Freight & PDI ($2,795.00) less $2,500.00 delivery credit) at 0.9% APR for 48 months. Monthly payment is $320.28 with down payment or trade equivalent of $6,600.00. Retailer administration fee ($595.00), AMVIC ($6.25), A/C levy ($100.00), tire stewardship fee ($16.00) and fees associated with PPSA ($22.76) are due on signing. Licensing, registration, and applicable taxes are extra and due on signing. First month’s lease payment and security deposit of one month’s payment are due at lease inception. Total obligation for the lease is: $15,949.97. The residual value of the vehicle at the end of the term is $20,188.00. Annual kilometres limited to 16,000; $0.15 per excess kilometre. Excess wear and tear charges may apply. Retailers are free to set their own prices. **BMW 3 Series delivery credit on all new in-stock 2017 3 Series models. Credits up to $2,500/$3,000/$3,000/$3,500/$3,500/$2,000 on all new in-stock 2017 BMW 320i/328d/330i/330e/340i/M3 models are available on cash, lease, and finance purchases made through BMW Financial Services Canada. Selling price of a 2018 430i xDrive Coupe starts at $55,662.25, which includes MSRP ($52,150.00), freight and PDI (up to $2,795.00), AMVIC ($6.25), A/C levy ($100.00), tire stewardship fee ($16.00), and retailer administration fees (up to $595.00). * Lease offers of 2.9% APR for 45 months available only through BMW Financial Services Canada on approved credit (OAC). Lease example based on a 2018 430i xDrive Coupe base model: $53,630.00 (MSRP ($52,150.00) plus Freight & PDI ($2,795.00) less $1,000.00 delivery credit) at 2.9% APR for 45 months. Monthly payment is $518.89 with down payment or trade equivalent of $7,150.00. Retailer administration fee ($595.00), AMVIC ($6.25), A/C levy ($100.00), tire stewardship fee ($16.00) and fees associated with PPSA ($22.76) are due on signing. Licensing, registration, and applicable taxes are extra and due on signing. First month’s lease payment and security deposit of one month’s payment are due at lease inception. Total obligation for the lease is: $23,926.63. The residual value of the vehicle at the end of the term is $27,118.00. Annual kilometres limited to 16,000; $0.15 per excess kilometre. Excess wear and tear charges may apply. Retailers are free to set their own prices. ** $1,000.00 Credit on new BMW 2018 430i xDrive Coupe models applies to Lease purchases made through BMW Financial Services Canada. Selling price of a 2017 530i xDrive Sedan starts at $65,012.25, which includes MSRP ($61,500.00), freight and PDI (up to $2,795.00), AMVIC ($6.25), A/C levy ($100.00), tire stewardship fee ($16.00), and retailer administration fees (up to $595.00). * Lease offers of 3.9% APR for 45 months available only through BMW Financial Services Canada on approved credit (OAC). Lease example based on a 2017 530i xDrive Sedan base model: $61,980.00 (MSRP ($61,500.00) plus Freight & PDI ($2,795.00) less $2,000.00 delivery credit) at 3.9% APR for 45 months. Monthly payment is $667.10 with down payment or trade equivalent of $6,900.00. Retailer administration fee ($595.00), AMVIC ($6.25), A/C levy ($100.00), tire stewardship fee ($16.00) and fees associated with PPSA ($22.76) are due on signing. Licensing, registration, and applicable taxes are extra and due on signing. First month’s lease payment and security deposit of one month’s payment are due at lease inception. Total obligation for the lease is: $30,596.16. The residual value of the vehicle at the end of the term is $31,365.00. Annual kilometres limited to 16,000; $0.25 per excess kilometre. Excess wear and tear charges may apply. Retailers are free to set their own prices. ** $2,000.00 Credit on new BMW 2017 530i xDrive Sedan models applies to Lease purchases made through BMW Financial Services Canada. Live Chat with Jason, he is Online! Search for Current Offers, New Cars, or Used Cars. Can't find what you are looking for? Contact Jason to submit a vehicle request. Read what Jason's Customers are saying about him on his Wesbsite, Jason's Facebook, or on Calgary BMW Google Reviews. Use by Live Chat below, or Call/Text Jason on his cell: 403-471-2951. (Late evening texts are okay).